Mantua, 30 October 2015 – At a meeting today chaired by Roberto Colaninno, the Board of Directors of Piaggio & C. S.p.A. examined and approved the interim report on operations for the nine months to 30 September 2015. Group consolidated net sales in the first nine months of 2015 totalled 1,002.6 million euro, an improvement of 7.7% from 930.8 million euro at 30 September 2014. The Piaggio Group recorded revenue growth in all the main geographical areas where it operates, assisted by a positive exchange-rate effect, with net sales of 610.7 million euro in the EMEA and Americas areas (+6.4% on the first nine months of 2014), 260.3 million euro in India (+9.8%) and 131.7 million euro in Asia Pacific (+9.7%). Similarly, revenues rose on all Piaggio Group lines of business. Turnover in the two-wheeler sector was 701.1 million euro, an increase of 6.5% from 658.4 million euro in the first nine months of 2014 (the figure includes spares and accessories). Revenues for commercial vehicles, including spares and accessories, were 301.5 million euro, an increase of 10.7% from 272.5 million euro at 30 September 2014. The industrial gross margin for the first nine months was 296.5 million euro, up 9 million euro (+3.1%) from 287.5 million euro at 30 September 2014. The return on net sales was 29.6%, a slight decrease from 30.9% at 30 September 2014 generated entirely by the exchange-rate effect. Operating expense in the first nine months of 2015 was 238.4 million euro (217.9 million euro at 30 September 2014). 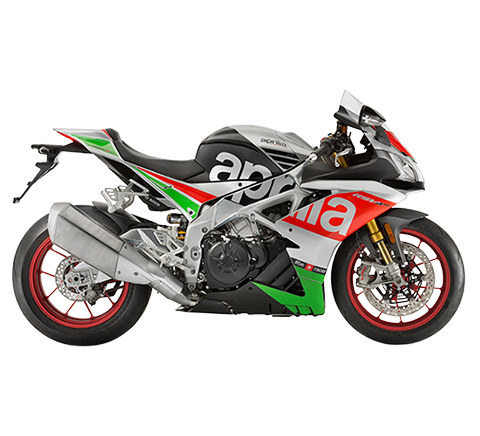 The increase reflected a rise in amortisation and depreciation (49.4 million euro from 39.8 million euro at 30 September 2014) and a rise in cash opex, linked in part to the exchange-rate effect and in part to increased expenditure for Group international communication and marketing and for the Aprilia brand’s Racing activities. The changes in the income statement described above generated consolidated EBITDA of 135.7 million euro, slightly up from 135.4 million euro at 30 September 2014. The EBITDA margin was 13.5% (14.5% at 30 September 2014). EBIT at 30 September 2015 was 58.1 million euro, down by 11.5 million euro from 69.6 million euro in the first nine months of 2014 due to an increase of 11.9 million euro in amortisation and depreciation. The EBIT margin was 5.8% (7.5% at 30 September 2014). The Piaggio Group closed the first nine months of 2015 with profit before tax of 30.5 million euro, compared with 36.5 million euro at 30 September 2014. Income tax for the period was 12.2 million euro (14.6 million euro at 30 September 2014), with an impact on pre-tax profit of 40%. The first nine months of 2015 closed with a net profit of 18.3 million euro, compared with 21.9 million euro for the year-earlier period. Net debt at 30 September 2015 was 495.8 million euro. This was an improvement on 535.3 million euro at 30 June 2015 and was in line (increase of 3 million euro) with the figure of 492.8 million euro at 31 December 2014, despite inclusion of the dividend pay-out of 26 million euro and the increase in capital expenditure, thanks to the positive trend in operating cash flow and containment of working capital. Operating cash flow for the first nine months was up to 91.3 million euro, an increase of 4.2 million euro (or 4.8%) from 87.1 million euro in the year-earlier period. Group shareholders' equity at 30 September 2015 was 410 million euro (413.1 million euro at 31 December 2014). Piaggio Group capital expenditure in the nine months to 30 September 2015 amounted to 68.2 million euro (+19.6% from 57 million euro at 30 September 2014), of which 39.9 million euro for R&D expenditure (34.8 million euro in the first nine months of 2014) and approximately 28.3 million euro for property, plant and equipment, investment property and intangible assets (22.2 million euro at 30 September 2014). Among investments in Group industrial assets, a particularly important project is the new automated paint shop at Piaggio’s industrial facility in Pontedera (Pisa), work on which is nearing completion. In 2014, investment at Pontedera included the insourcing of high-precision aluminium machining operations, with the opening of a dedicated shop. The new paint shop is a completely robotised operation. It will be completed in early 2016, enabling Piaggio to improve still further finished product quality and efficiency on all vehicle paint processes. 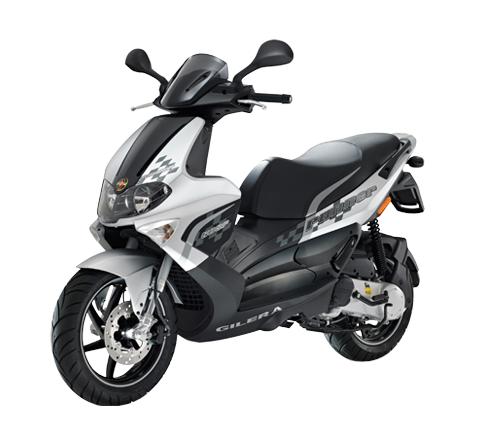 The total workforce of the Piaggio Group at 30 September 2015 numbered 7,527 employees (7,510 at 31 December 2014). The Group’s Italian employees numbered 3,688, substantially unchanged from the previous year. In the first nine months of 2015, the Piaggio Group sold 396,200 vehicles worldwide, compared with 417,200 in the year-earlier period. The small reduction in Group sales volumes was effectively counterbalanced – in terms of revenue growth – by the shift in the product mix towards products with higher value per unit (notably, with a 32.9% revenue increase in the motorcycle segment) and by the Piaggio Group’s premium price policy. 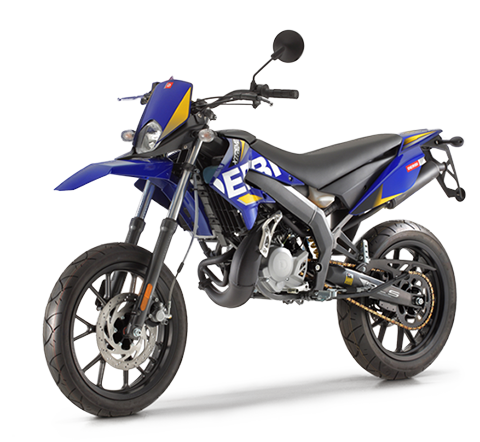 In the first nine months of 2015, the Group sold 251,000 two-wheelers (259,500 at 30 September 2014), generating net sales of 701.1 million euro, an improvement of 6.5% from 658.4 million euro in the first nine months of 2014. The figure includes spares and accessories, where sales totalled 97.4 million euro (+9.7% from the first nine months of 2014). The Piaggio Group reported revenue growth in all the main geographical areas where it operates on the two-wheeler market, with turnover of 551.9 million euro in the EMEA and Americas areas (+5.1% from the first nine months of 2014), 131.7 million euro in Asia Pacific (+9.7%) and 17.5 million euro in India (+32.2%). On the European two-wheeler market, the Piaggio Group reconfirmed its Piaggio Group reconfirmed its absolute leadership with an overall market share of 15.1% (up from 14.6% in the first six months of 2015) and a 24.4% market share in scooters (about 11 percentage points ahead of the second competitor). 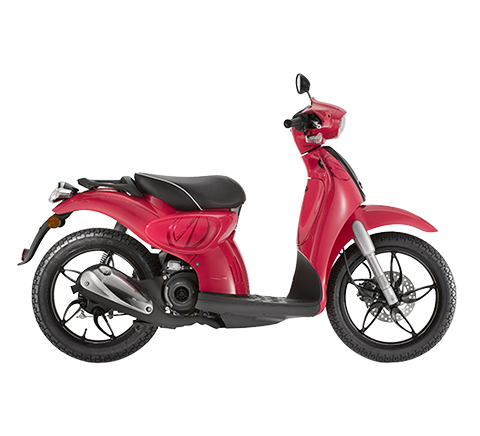 The Group also maintained a strong positioning on the North American scooter market, with a 19.7% market share. In scooters, the Group reported higher revenues for the Vespa brand (+6.8%). Revenues also improved in motorcycles, with an increase of 32.9%. 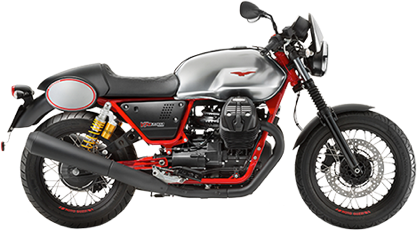 Turnover rose 35.7% for the Moto Guzzi brand and 23.4% for the Aprilia brand, thanks to the success of the main new product entries launched by the Piaggio Group in the first half of the year: the V7 II 750, Audace and Eldorado 1400 motorcycles for Moto Guzzi, and the RSV4 RR and RF, Tuono 1100 Factory and RR and Caponord 1200 Rally for Aprilia. In the commercial vehicles sector, the Group sold 145,100 vehicles (157,700 in the first nine months of 2014) for net sales of 301.5 million euro (+10.7% from 272.5 million euro in the first nine months of 2014). The figure includes spares and accessories, where sales totalled 31.4 million euro (+23.5% from 25.4 million euro at 30 September 2014). In commercial vehicles, in the EMEA and Americas area, the Piaggio Group reported net sales of 58.8 million euro, for revenue growth of 20.7% from the first nine months of 2014. In India, net sales for commercial vehicles at the subsidiary Piaggio Vehicles Private Limited (PVPL) amounted to 242.7 million euro (+8.5% on 223.8 million euro at 30 September 2014), despite a 7% slowdown on the Indian three-wheel vehicle market as a whole compared with the first nine months of 2014. On the Indian three-wheel commercial vehicle market, PVPL had an overall share of 31%; it strengthened its leadership in the Cargo segment with a market share rising to 54.7% (52.2% in the first nine months of 2014), and maintained a significant share (25.5%) of the Passenger segment. In the first nine months of 2015, the PVPL production hub also exported approximately 21,500 three-wheel commercial vehicles, for growth of 5.4% from the first nine months of 2014; these sales were consolidated in part by the EMEA and Americas area and in part by the India area, depending on the areas’ respective responsibility for management of the various outlet markets. On 15 June 2015, the Piaggio Fast Forward Inc. company (PFF) was established as a subsidiary of Piaggio & C. S.p.A.. The company’s operating offices are in the US state of Massachusetts, where it conducts research into innovative mobility and transport solutions. The members of the company’s Advisory Board are Roberto Colaninno, Nicholas Negroponte, Doug Brent and Jeff Linnell; the members of the Board of Directors are Michele Colaninno (Chairman), Jeffrey Schnapp (Chief Executive Officer), Greg Lynn (Chief Creative Officer), Gabriele Galli (Piaggio Group Chief Financial Officer), Davide Zanolini (Piaggio Group Marketing & Communication Manager), Luca Sacchi (Piaggio Group Strategic Innovation Manager), Miguel Galluzzi (Director of the Piaggio Advanced Design Center in Pasadena) and Edoardo Ducci (Piaggio Group Americas). On 15 July 2015, the world’s first free-floating scooter-sharing scheme was launched in Milan. The service is run by the Enjoy company and uses Piaggio Mp3 scooters. 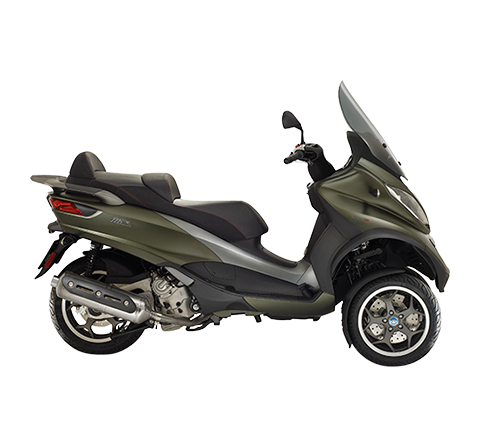 For the occasion, the Piaggio Group developed a special version of the Mp3 300LT Business ABS three-wheel scooter combining a full range of new features for localisation via smartphone and use of the vehicle in sharing mode. Under the initiative, an initial fleet of 150 scooters is to be delivered for the Enjoy scooter-sharing scheme in Milan. On 12 August 2015, the Piaggio Group announced the start-up of commercial operations for the Vespa brand in Nepal. The Vespa VX and Vespa S 125cc scooters sold in Nepal are produced in the Piaggio Vehicles Private Ltd. facility in Baramati, India. 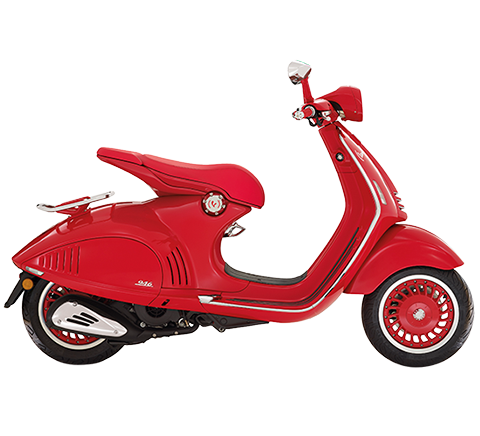 In September 2015, the Vespa 946 Emporio Armani was launched on the leading Asian markets. Specifically, in Japan on 17 September 2015, in Vietnam on 18 September and in Indonesia on 21 September. On 29 September 2015, the Moody’s rating agency downgraded the Piaggio rating from Ba3 to B1, with a stable outlook. On 2 October 2015, the first Piaggio Fast Forward event was held in Milan, with the title The Shape of Things to Come. It involved thousands of university students, physically in The Mall location in Milan and in streaming from all over the world. The event was attended by Piaggio Group senior management, including Roberto Colaninno (Group Chairman and CEO), Matteo Colaninno (Group Deputy Chairman) and Michele Colaninno (Immsi Group CEO and COO, and a Piaggio Group director). The speakers, in addition to Roberto Colaninno, included several members of the Piaggio Fast Forward Advisory Board and Board of Directors: Nicholas Negroponte (co-founder MIT Media Lab, Professor of Media Technology at the MIT); Jeffrey Schnapp (co-director Berkman Center for Internet & Society, Professor at Harvard University); Greg Lynn (designer, founder Greg Lynn FORM, Professor at Yale University); Doug Brent (Vice President Technology Innovation at Trimble); Beth Altringer (psychologist, designer, lecturer at the Harvard Engineering & Design School); Sasha Hoffman (co-founder Fuzzy Compass, active member of the Boston Entrepreneurship Ecosystem). On 4 October 2015, Lorenzo Savadori won the 2015 World Superstock 1000 FIM Cup on the Aprilia RSV4 RF and Aprilia won the Manufacturers’ title in the same championship. On 13 October 2015, in Manhattan, Piaggio Group Americas, the Piaggio Group subsidiary based in New York, opened the Group’s first multi-brand flagship store in America, in line with the strategic guidelines of the Motoplex store program. The new Group store is located at 6 Grand Street, at the heart of downtown New York. The dealership offers the top Piaggio Group brands such as Vespa, Piaggio, Aprilia and Moto Guzzi. On 14 October 2015, the Vespa 946 Emporio Armani made its US debut. An event was held at the Emporio Armani store in SoHo, New York, to mark the occasion. During October 2015, the Piaggio Group began marketing the new versions of the Piaggio Porter, powered by the new MultiTech Euro 6 petrol engine, which, compared with the previous models, offers enhanced performance and cuts emissions and fuel consumption. This year, on 30 October 2015, the Vespa 946 Emporio Armani was also launched in the People’s Republic of China during a special event in Beijing. consolidating market positioning in commercial vehicles in India and the emerging countries, aiming for further growth in exports to Africa and South America. From a technology viewpoint, the Piaggio Group will continue development of technologies and platforms that focus on the functional and emotional aspects of its vehicles, through continuous development in power trains, wider use of digital platforms connecting user and vehicle, and trials of new product and service configurations. At a more general level, the Group maintains its constant commitment – a characteristic of recent years and continuing in 2015 – to generate higher productivity through close attention to cost and investment efficiency, in compliance with the ethical principles adopted by the Group. The presentation of the financial results as at and for the nine months ended 30 September 2015, which will be illustrated during a conference call with financial analysts, is available on the corporate website at www.piaggiogroup.com/it/investor and on the “eMarket Storage” authorised storage mechanism on the website www.emarketstorage.com. The Piaggio Group consolidated income statement, consolidated statement of financial position and consolidated statement of cash flows as at and for the nine months ended 30 September 2015 are set out below. The manager in charge of preparing the company accounts and documents, Alessandra Simonotto, certifies, pursuant to paragraph 2 of art. 154 bis of Legislative Decree no. 58/1998 (Consolidated Law on Financial Intermediation), that the accounting disclosures in this statement correspond to the accounting documents, ledgers and entries. - Net financial position: gross financial debt less cash and cash equivalents, and other current financial receivables. Determination of the net financial position does not include other financial assets and liabilities arising from measurement at fair value, derivatives designated or not as hedges, fair value adjustments of the related hedged items and related accruals.